If you enable Google’s new “messaging” feature, customers who pull up your business in Google Maps can contact you via their favorite chat app. Whether that’s a good thing for your business (or it drives you crazy) is for you to decide – maybe after a test drive. But let’s assume for a minute that you want to use the Google My Business messaging feature. 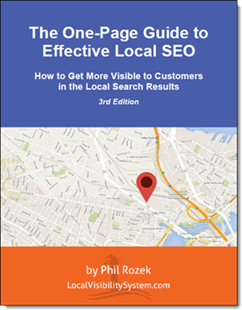 Let’s assume some customers/clients/patients you want to attract would find it useful. Do you now have to carry around an extra phone, or stay glued to another screen, or task someone who works for you to do so? 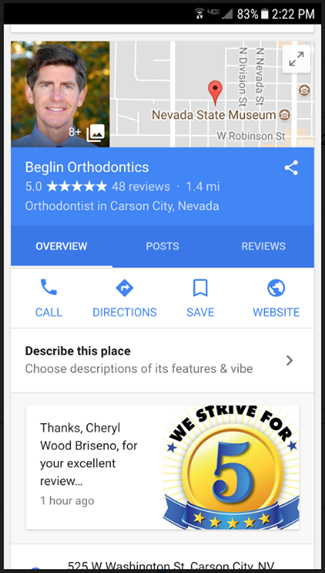 This post is from Dr. Emily Beglin, an general dentist whose husband is an orthodontist in Carson City, Nevada, and who runs the orthodontists’ directory SelectBraces.com. 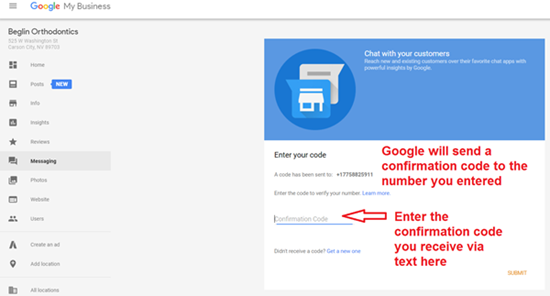 Here she describes a MacGyver-like way to feed the Google My Business messaging feature into your existing landline, so you can stay on top of any “messaging” leads without having to stay on top of more devices. In the last decade, there has been a massive shift towards people of all ages using their mobile phones for just about anything, and texting is a huge part of this. 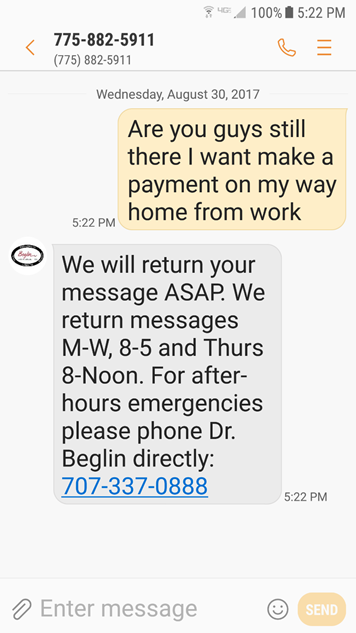 It, therefore, makes business sense to add some type of texting capability to your business to make communicating with current and potential new customers faster and easier. 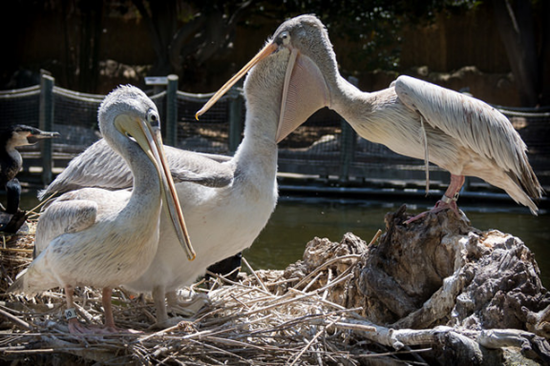 I’m going to tell you about two great options that can work well together or separately. When we started using two-way messaging in our orthodontic practice, our primary objective was to improve our overall patient experience by engaging patients in the manner that best suits their needs and desires. This allows us to provide them with customer service that sets us apart from our competition and the response has been stunning. Our patients love the feature and tell all their friends about it. In a round-about manner, this has led to an unexpected increase in word-of-mouth referral business to our practice. Our practice was already engaging in Facebook messaging, which is how we came to realize people’s desire to message us, rather than pick up the phone. There are many advantages to allowing your customers to communicate with your business via text and I think just about any type of business that currently communicates directly with customers via phone will benefit from it. After evaluating a couple of platforms, we chose to go with Text Request. Text Request makes it easy for any business to manage live, two-way text conversations by text-enabling a business’s existing, local landline number to send and receive texts, all from an online account. Text Request is cloud-based so you can send texts through a web browser or from your smartphone. 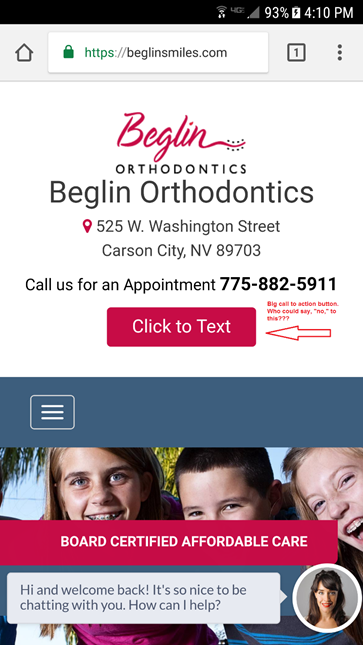 Besides the functionality of two-way texting with our patients, by far my absolute favorite feature is the “embed” widget we use on our website. For businesses with HIPAA-compliance requirements who do not use a server configuration or software that ensures HIPAA compliance, an autoresponder message stating not to relay personal health information(PHI), would be advisable. This is an ever-increasing issue for healthcare providers. If you really want a scare, check out this article about the penalties for non-HIPAA compliance. Yikes! In any case, don’t take my word for it. Make sure your business is HIPAA-compliant in all communications. 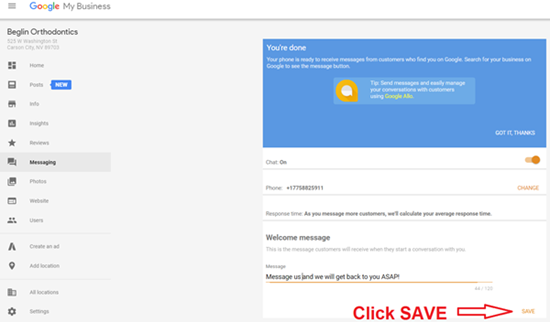 Messaging with customers is a relatively new Google My Business (GMB) feature that has recently been made available in select countries. To configure this feature is pretty straightforward. It is immediately live on mobile, with the option to message in two places! The beauty of adding messaging to your GMB listing is that it is seamless. If your business already has a text-enabled number through Text Request or another service, you don’t need to configure anything else. If you don’t have a text-enabled landline, a business can verify and use a personal or business mobile number. 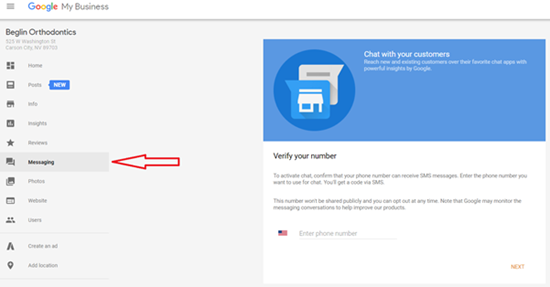 If you don’t have either a text-enabled landline or a mobile number, Google does say you could use their Allo app, rather than a mobile SMS, but to do that, you will have to download the app and your customers would also have to use it. As far as I’m concerned, that’s not an option and will only complicate, rather than simplify the process. Although there are other services like Text Request, I love the fact that they have different plans depending on how many messages you send per month, starting from as few as 400, all the way up to 20,000. This means that you only pay for what you use, yet can scale it up as your business grows and as more of your customers choose to reach you via messaging. I also like the fact that there is no monthly contract. That way, if it’s not working out for your business, you’re not on the hook paying for something long-term that your business is unable to use. 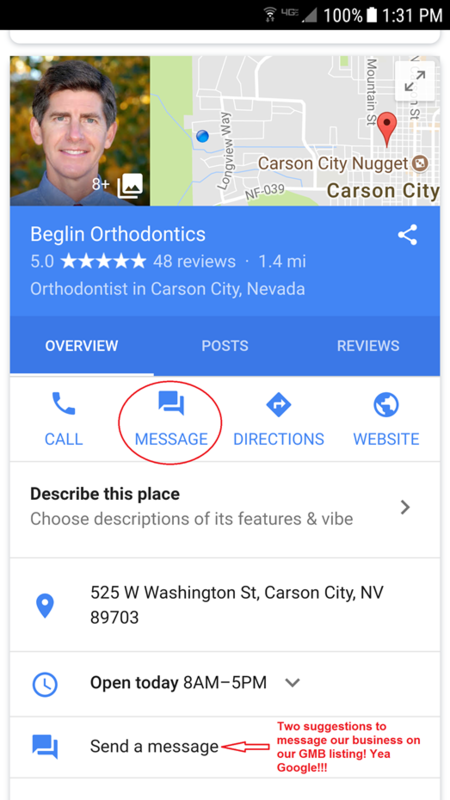 We love having two-way messaging for our practice and adding it to our Google My Business listing is the frosting on the cake! 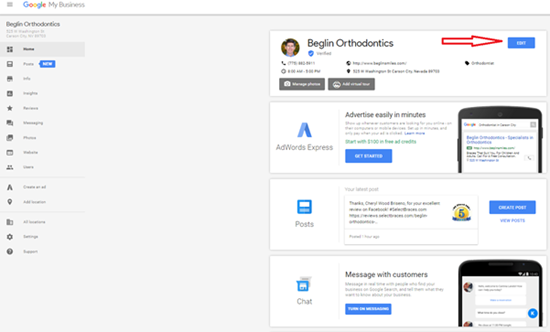 It would be useful for all types of businesses, albeit for different reasons, but it works very well for orthodontists and for dentists, or any kind of business where customers make appointments for specific times. For dentists, it’s perfect for filling cancellations. Staff can send out a blind group text to everyone on their waiting list for a specific procedure such as a cleaning. This is a faster way to get the word out about an opening on the schedule and gets a much quicker response than sending emails and leaving a bunch of voicemail messages and then waiting to hear back. This dramatically frees up staff time and easily fills same-day cancellations, which can be costly to any business. Anyway, I look forward to hearing how messaging works for your business! Any questions for Doc Beglin (or for me)? 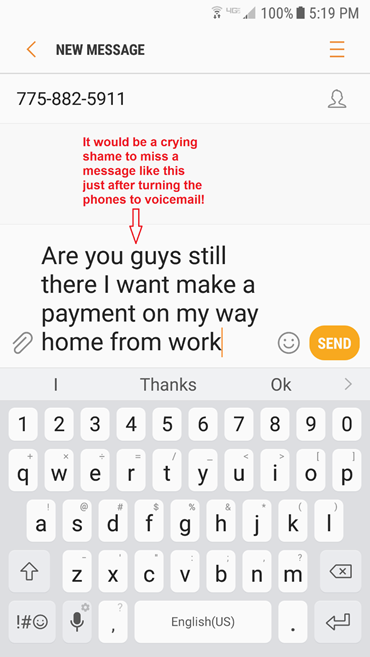 Have you tried the GMB messaging feature yet – and maybe even set it up to feed to your landline with something like TextRequest? Why or why not?